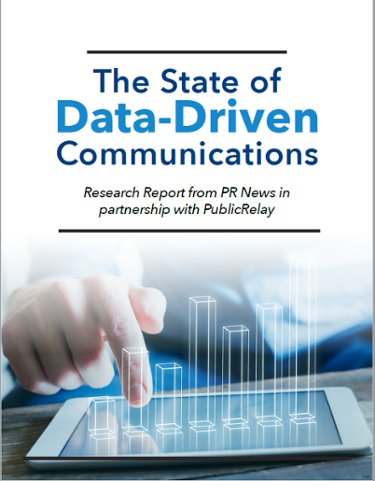 TYSONS CORNER, Va., November 29, 2018 (Newswire.com) –PublicRelay, in partnership with PR News, today released the results of the study “The State of Communications Data and Measurement,” which surveyed 400 corporate and agency communications professionals to identify how they perceive media analysis and gauge the role that data is playing in their communications strategies. This study is the second edition of a measurement study series launched in 2017. According to the report, measurement remained an important priority for PR professionals this year. Close to 52 percent of agency participants and 47 percent of corporate respondents claimed that they are spending more time on media measurement this year than last year. This growing importance is fueled by the desire of communicators to demonstrate success, with 65 percent of both corporate and agency respondents expressing that they increasingly use measurement to show how their departments tie results to broader business goals. These findings are uplifting as they signify the empowerment of our industry. Data accuracy is only slightly better. Nearly 69 percent of corporate respondents and 60 percent of agency respondents explained that they felt they only had access to good data sometimes and that its quality is not consistently reliable. While an improvement of six percent from last year’s survey where 75 percent of corporate participants indicated that they only have good data occasionally, it still shows that accurate and consistent data remains elusive. Media analysis is not clear. Only 21 percent of non-agency audiences and close to 16 percent of agencies say that they can easily understand their data and can readily share stories and insights with executives. This statistic is a slight improvement from 2017 where 20 percent of corporate audiences said that their data was simple to understand and share. Data needs to be more insightful. When asked how professionals would change their measurement process to better meet their needs, almost 62 percent of corporate and 67 percent of agency respondents stated that they would make it more insightful, and closer to 56 percent of non-agency and 59 percent of agency participants said they’d make it more comprehensive. In 2017, 61 percent of corporate respondents said that they’d like to make their processes more insightful, while 47 percent said they’d like to make it more comprehensive. 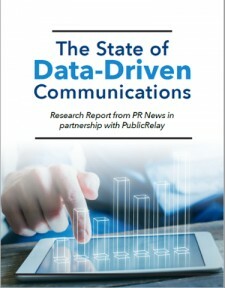 A complete copy of the “The State of Communications Data and Measurement” report can be found here.